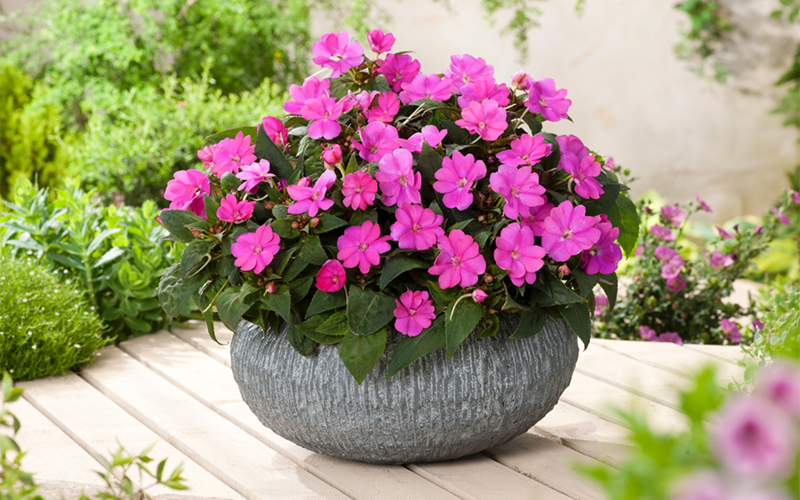 Sunpatiens are the latest and greatest hybrid of Impatiens to hit the market. They are a very versatile, low maintenance plant with huge flower power. They are extremely easy to grow , so easy that anyone can do it (great for the beginner gardener)! Sunpatiens are available in many bright showy colours and have continuous nonstop blooms from early Spring to the hard frost of Fall. They thrive during the heat of the Summer and perform awesome in full sun or part shade! Their tough foliage and stems allows them to handle harsh weather conditions. 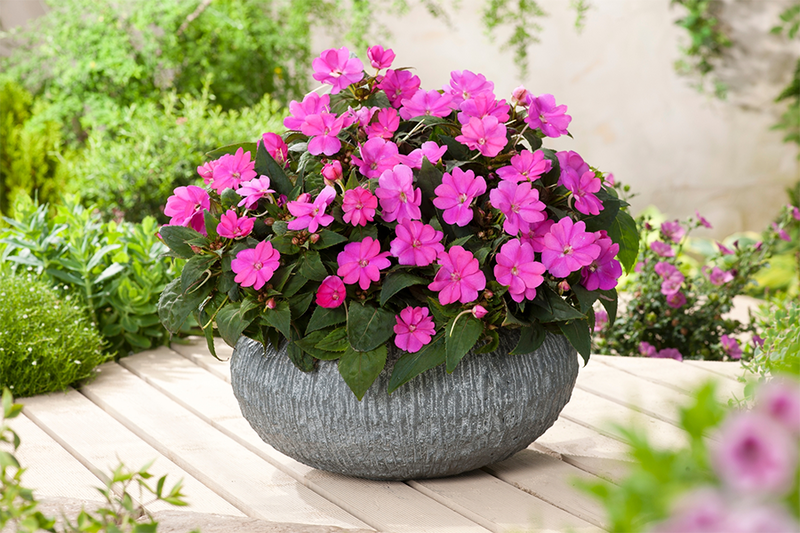 Sunpatiens are great in containers or garden beds and will fill in fairly quickly with gorgeous blooms and thick foliage. 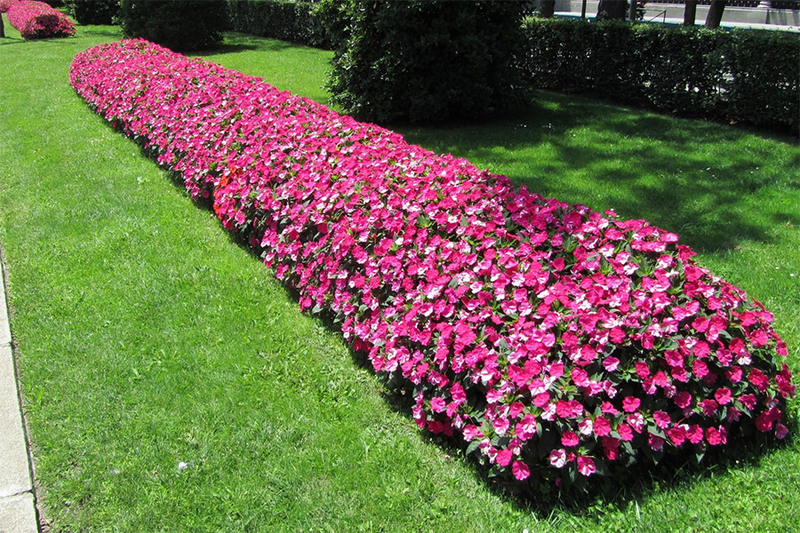 Do not mistaken Sunpatiens for New Guinea Sunshine Impatiens. The flowers look similar so it may be difficult to differentiate. You can spot them by looking for the Sunpatiens logo. Find them at the Garden Centre in a six pack, ready to be transplanted!